Posted on Thursday, June 27th, 2013 at 4:28 pm. 2. In a large non stick skillet place a thin coating of Garlic olive oil ( approx 2 TBL ) into the pan that is hot and has been set on medium . Turn the heat down to medium low and place as many of the brussels sprouts , cut side down ,that will fill the bottom of the pan in a single layer. . Place the lid on the pan. Cook on medium to medium low until brussels spouts are golden on the cut side and about 3/4 of the way tender. 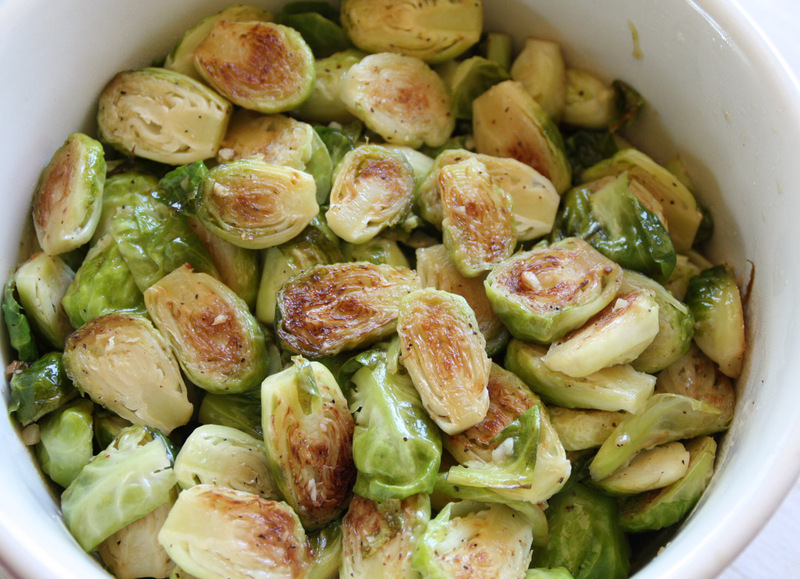 Toss the brussels sprouts in the pan with 1 Tablespoon lemon olive oil, salt and pepper to taste. Spread out into a single layer again , flipping to the leafy side of the sprouts and replace the lid. Continue to saute another 2 minutes or until the brussels sprouts are tender . Add 1 Tablespoon of Pineapple Balsamic to the pan and toss . Remove from heat and place sprouts into a bowl. 3. Repeat the processs until all the brussels sprouts are cooked. Amount of olive oil indicated n the recipe is based on completing the pan fry three times. It will take several repeats to complete the 2 lbs of brussels sprouts – depending on pan size . Recommended frying pan size is no greater than 2 inches larger than the burner on which it is being used to allow for even browning of the brussels sprouts . When reheating the Brussels sprouts , an optional presentation is to toss with pineapple chunks ( 15 oz – without juice ) or freshly cut and cubed pineapple . congratulations Joey! I’ve had this recipe made by you and it’s yummy!